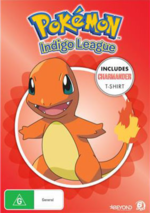 Description Collector's Edition With 'Charmander' T-Shirt Exclusive To JB Hi-Fi! 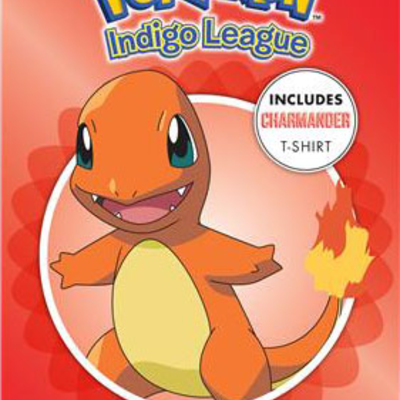 Catch the Pokémon story right from the very beginning! Meet Ash Ketchum, a 10-year-old boy from Pallet Town, who has an insatiable curiosity for Pokémon. Pokémon are creatures of various sizes and special powers that inhabit this world along with humans. Pokémon Trainers like Ash are encouraged to undertake their own Pokémon journeys. Accompanied by his new friend Pikachu, Ash is about to embark on his quest to become the greatest Pokémon Master of all time! Pokémon! I Choose You!ポケモン！きみにきめた！Pokémon! I Choose You! Challenge of the Samuraiサムライしょうねんのちょうせん！Challenge of the Samurai Boy! The Fight at Nibi Gym! Battle Aboard the St. Anne! Island of the Giant Pokémon!? Getting one in the Pokémon Tower! Fighting Pokémon! The Big Battle! Do Coil Dream of Electric Mice!? March of the Nassy Squad! Who Gets to Keep Togepi? Pokémon, all assorted characters, images and audio are ©GAME FREAK, Nintendo, Creatures, TV Tokyo, ShoPro and The Pokémon Company. All images, text and audio are used in an editorial context. No site content, information, translations, news, images or otherwise may be reposted to any website without expression permission from the staff. A short biography goes here.